Dark skin is also beautiful but in Asia the craze for the white and fair skin is immense. We should pay attention that our skin should look beautiful no matter what the skin color is. But still a lot of people desire for that flawless fair skin. 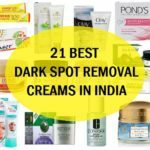 So, in list we have compiled the best fairness creams and skin whitening creams for dark skin tone in India. What exactly is the difference between any skin whitening creams and these fairness creams? Actually, there are skin creams that when we apply leaves a whitish residue or ashyness due to which the skin appears ashy as if you have applied powder on the face. So, here we made this list of those fairness creams that does not make the skin look like a white cast layer. 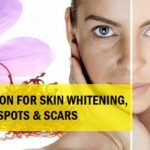 These skin lightening creams seep inside the skin layers and makes the skin tone fairer. There is no thing like instant fairness or something cannot give you overnight lightening of skin, it surely takes time. Let’s check out which are the best fairness creams for you? And which creams can lighten the wheatish skin tone faster with no side effects and chemicals. The list also has dark skin fairness skin creams which are Ayurvedic and herbal in nature. 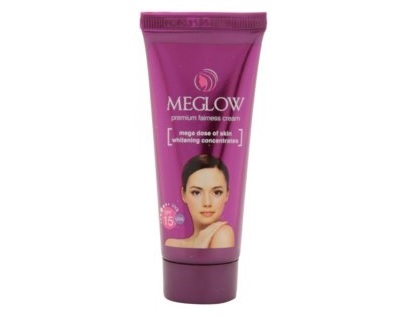 Meglow fairness cream for women is made with the whitening technology that can help lighten the skin. The cream also has a men’s skin fairness cream which is also good. The cream has a thick texture like fair & lovely fairness cream but it is far easier to get blended on the skin than that cream. It has mild smell which is not at all over powering. It gets inside the skin and makes the skin look better. The cream is more suitable for the oily to normal to combination skin rather than the dry skin. As I feel that this is less moisturizing so, using this for dry skin is not that appropriate. The fairness cream for dark skin is also a budget option for girls. I only noticed that it is not easily available online and the shops and stores. I may not call this is a fairness cream for dark dusky skin straight away. But yes, the cream has something that can brighten the skin. We love this cream as it has the ingredients which are natural like the aloe vera, cucumber, saffron, tulsi, neem , turmeric etc. So, this can cure the problems that combination to oily skin type face very commonly. The ingredients themselves are quite beneficial. The texture of this cream is suitable for dark skin as this gets blended without leaving that bad looking ashy skin layer on the skin. It can cure the scars, marks pf pimples, uneven skin color with continuous application of the face. This fairness cream for dark skin also smells mild and good. It is very easily available online and in the chemist or the regular shops. This was a new brand for me but when one of my cousins told me about this, I got intrigued to try this cream. The cream has a very nice and attractive looking packaging. It has serum like light formula is good for all skin types and blends well in the skin. The product is light weight and can be used prior to the application of other skin creams and sunscreens. This skin lightening serum is also known to treat the blemishes, dark spots and marks with its effective ingredients. There is the Wow fairness cream as well but we are including the serum. This is more absorb-able for all skin types and leaves no whitish ashiness to the dark skin. 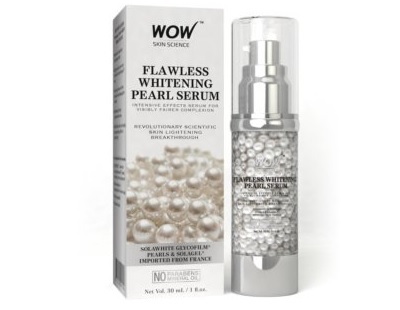 The serum claims that it has the clinically proven and patented skin whitening sol white technology from France. It contains matte sol white pearls made of skin whitening combination of glycofilm, calcium alginate and plant propanediol that is suspended in solagel. The cream also protects the skin from UV rays damage. It is free from the harmful sulphates, parabens or mineral oils. 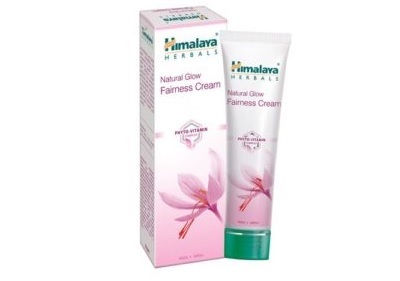 Himalaya Herbals Fairness Cream is made with the skin friendly and natural ingredients like the aloe vera, haldi, mandarin orange etc. These ingredients get rid of the uppermost dead skin and darkness from the skin. It helps in lightening the skin in the five ways like it acts on the dark circles, blemishes, dark spots on the face. Then, it also acts by nourishing the skin and leaving the skin stay moisturized. The texture is slightly thicker and it does not make the skin oily as such. Those you who have got oily skin and dark skin can try a cream like this. This will not just cure the oiliness but also makes the skin glowing. Point to be noted here, is that this skin fairness cream does not have bleaching agents unlike some of the creams out there. 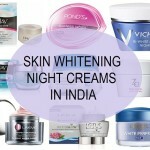 Yes, many skin lightening creams have the skin bleaching agents that lightens the skin. The cream is well to do when you have the dark skin or normal skin. The product smell nice but at times, I felt that this is a bit too much but this only helps in getting rid of the dark spots and acne marks as well. The cream can also help to lighten the skin by continuous usage. 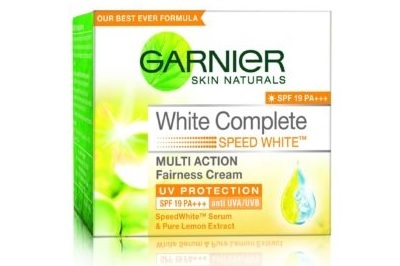 Garnier white complete speed white fairness cream is for oily skin only as I feel that the cream is a bit heavy for the dry skin and less moisturizing. This is boosted with the Vitamin C that is from lemons. The fairness cream also comes with SPF 19 to protect against UV damage. This everyday fairness cream is ideal for college students who like to use skin whitening cream for their dull complexion. But one thing is to be pointed that this can be a little ashy for the dark skin so, do not use this Garnier fairness cream in a lot of amount. Citric acid in the lemons also proves to be a good product for the dark spots and blemishes. There is a skin whitening night cream also that you can try to increase the fairness. Jovees makes skin care and herbal hair care products. 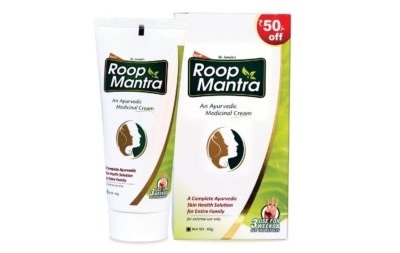 This skin fairness cream is quite on the nourishing side and does not make the skin look ashy. This is not like those face creams for fairness that can make your skin look whitish or fake white. Jovees products cater for most of the skin types and they make herbal products to suit and target lot of skin issues. This cream is rich in bearberry and saffron. Berries are rich in skin lightening enzymes and also anti-oxidants that boost new life in the skin. Saffron or kesar cream are good for lightening the blemishes and dark spots from the face. You can also call this as a good fairness cream for dark spots and acne scars. This is not just a whitening skin cream for dark skin but is a skin brightening cream also. This is ideal for dark and dry skin, sensitive skin and normal skin. We find this cream to be a bit greasy for the oily combination skin but for the dry skin it proves to be nourishing. Biotique as a brand is well know for their herbal products like Himalaya, Lotus, Jovees etc. 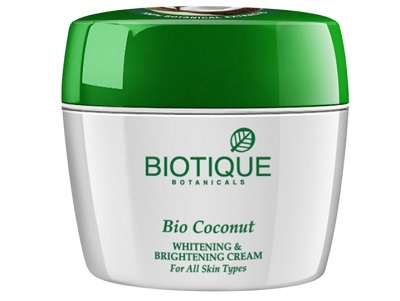 Biotique Coconut Whitening & Brightening Cream is rich in the pure coconut and other natural extracts that lighten the dark spots. Biotique fairness Cream has skin moisturizers which makes the skin supple and nourished. The cream brightens skin complexion and also removes sun tan. Ingredients: Nariyal (Coco nucefera water), Dudhal (Taraxcum officinale), Manjistha (Rubia Cord folia), Nimba kamla (Citrus limunum), Badam tail (Prunus amygdalus), Cream base Q.S. 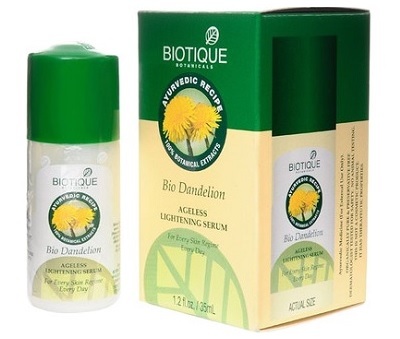 Biotique Bio Dandelion Lightening serum is made for the people of all skin types. The best thing is that the product is very light weight and has the capability to get rid of the dryness and dark spots. It is not that this product is meant only for the dry skin. In fact the product is nourishing and skin rejuvenating. The lightening serum is a preservative free blend of natural ingredients like pure dandelion and nutmeg oil which are rich in vitamin E and minerals. 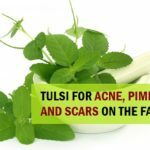 It gets inside the skin super fast leaving a light dewiness which is not at all greasy or sticky in nature hence, it is also a good skin lightening serum for oily to acne prone skin. It also aids in boosting the skin’s micro circulation. This lavender rich lotion is from Khadi Herbal. Khadi makes very skin friendly and natural products. 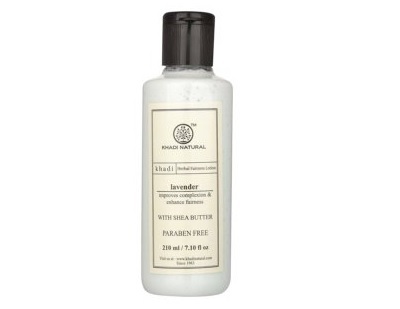 Khadi lavender fairness lotion is for dry skin primarily because of the ingredients. The lotion contains benefits of Shea Butter, which nourishes your skin with its advanced moisturizing formula. It can give of several skin benefits like the dead skin cells removal, even toning the skin and lightening of the acne spots and dark spots. Ingredients: Lavandula ( Lavender Oil ), Croccussativus, Kojic Acid Dipalmitate, Zinc Ore, Sandalwood Oil, Aloevera, Glycerin, Wheatgerm Oil, Sunflower Oil, Brascica Juncea Oil,Cartamus Tinctirius Oil, Triticum Vulgaris Oil, Terminallia Bellirica, Trigonella Foenum, Liquorice, Shea Butter. 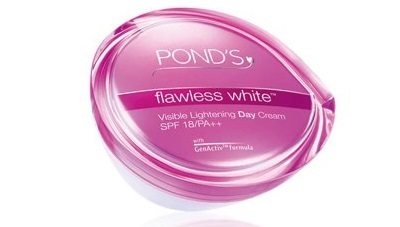 The fairness cream from Pond’s is very popular and has a light satiny powdery texture. This not gives a visible fairness that can give ashyness to the skin. When the skin is dark then obviously we do not want anything that can make the skin ashier. This face cream for fairness for everyone comes with VAO-B3 complex that helps protect your skin against harmful sun rays. This also has Stearic Acid that lightens the skin color and even tons the skin. Ingredients: Tocopheryl Acetate, Niacin amide, Stearic acid. The cream is from Oxyglow. 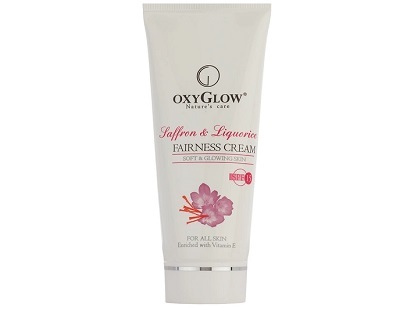 Oxyglow saffron and Liquorice fairness cream is rich in the goodness and boost of the ingredients like saffron and licorice. Saffron is kesar and licorice is mulethi. These two ingredients are helpful in lightening the skin tone and texture. It improves the skin condition like giving relief in the spots and blemishes. It does not have heavy or greasy texture but can be said as a suitable product for skin types. The dry skin will not feel dry after using this and same goes vice versa for the oily skin. 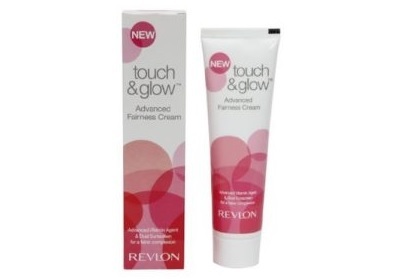 For dark skin, this is a good skin fairness cream as the product does not give ashy or whitish looking fairness. Moreover, it also comes with SPF 15 that is good for the sun protection for daily use. But I advise you to have a sunscreen before applying skin creams. Gels are good for oily skin. 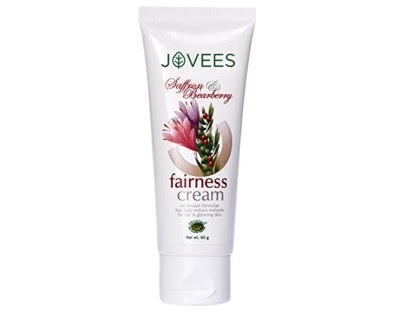 The fairness gel is made using the green tea benefits and licorice. So, both of these ingredients give you extra boost of skin lightening and whitening. Licorice does wonders for dark skin and when the face is dusky, licorice can lighten the duskiness. While the green tea has immense benefits of anti-oxidants that keeps the skin younger looking. The fairness gel is suitable for the oily skin to combination skin. If you are a dark skinned person who needs to have fairness and sun tan removal then you can try it. You can get even toned skin with the natural tea tree extracts. You can also get the pimple prevention benefits from this gel. Ingredients: Vitamin E, Liquorice, Green tea extracts. 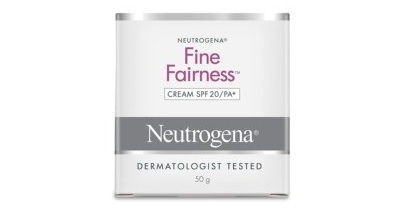 Neutrogena skin fairness cream has a very light lotion like texture. So, this can be used to improvise the complexion of your dull skin by few shades. The fairness cream helps in lightening the dark spots and has a pure concentrate of retinols which helps to heal the skin. When the bad looking ashiness is your major concern then you should have the cream that can penetrate the skin nicely. Moreover, the skin also lowers the melanin synthesis. This is in turn, cures the darkening of the skin. 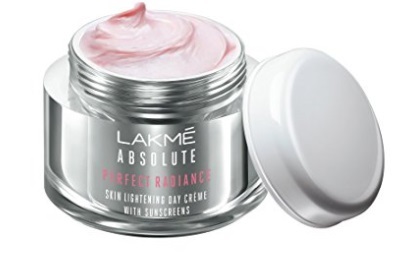 Lakme perfect radiance fairness day cream is also a non whitish fairness cream for the dark dusky skin tones in India. The fairness cream for dark skin is for the people who have normal to oily skin as this is little thick but blends nicely on the face. Lakme fairness cream gives moisturization and added nourishment to the dull and tired skin. It is also a good anti blemishes or scar removal cream as when I had used it, it lightened those spots of pimples on my skin. It also comes with the SPF that protects the skin. 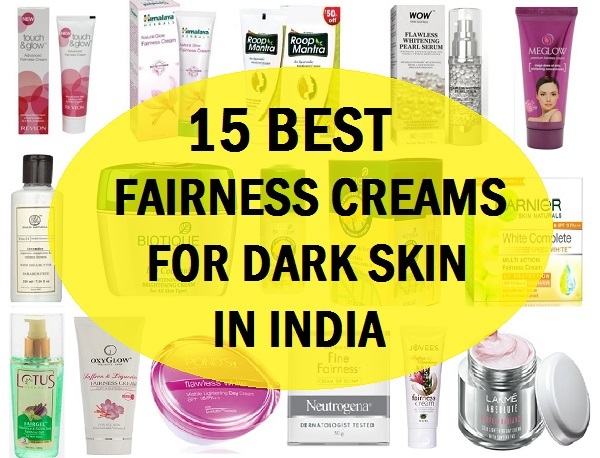 so, these are the best fairness creams for dark skin dull skin and uneven skin complexion. Which is your favorite?